This piece of paper has been flapping around in the drawing board vicinity for a few weeks. The judge’s face was originally facing forwards so we would be unable to see her face. It took me some time before I figured out that for me to be interested in taking it further, I would want to see her face, so I turned her head. Many minutes have been spent on her bum and right leg. 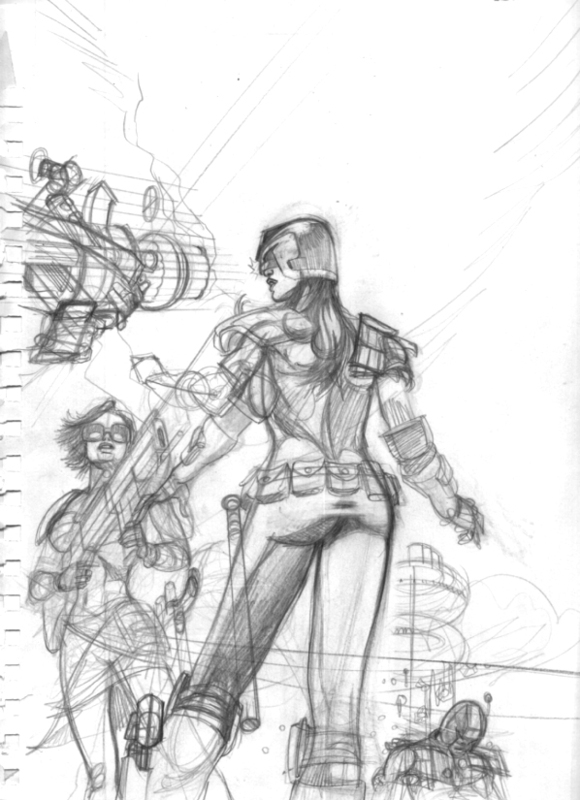 This is not a commission, I am just enjoying drawing female judges and am wondering if this is somehow not done to use an existing property on one’s blog – because in a way the Dredd tags may bring people to me, so will I get a snotty letter? 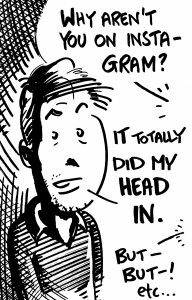 – plus I’m musing on the fact that once upon a time I would have started inking this by now, rather than writing about it here.